Every year is different, some holidays we have new credit cards with zero balances or extra money we have made or save throughout the year. Then other years we have sickness, car repairs, thefts, job losses or any sort of unfortunate circumstances to leave us broke. The amount of money we have should not equate to the quality of holiday you have. I know that kids want those new shoes, new games and high tech items no matter what your income or debts are. Kids are kids. You have to sometimes reach out for help in acquiring one those dream toys by ask relatives to chip in or do a side job like Uber, Lyft or Waiter a few times to make that extra money. The smile on that kid’s face on Christmas morning is worth every penny earned, begged or sweated for. Now, for the adults in your life (to include yourself), you should attempt to give some item of kindness. Those items do not have to store bought. They can be items baked, painted, sewn or written. Just because you have dust in your wallet does not mean those dear to you should be forgotten. Take the time out and recycle fabrics from old clothes to make a pillow or an ornament for them. The most important person in your life, is you. You must treat yourself too. If you do not love yourself: then who will? Bellow is a blog I wrote about sewing a new blouse for myself that costs only $10. Invest the time in treating yourself to something special maybe it is a vintage dress at the consignment shop, a piece of jewelry you make for yourself from rocks you collected on a nature walk or a fantastic purchase on the clearance rack. Whatever it is, keep it under budget and think outside of the box. In attempt to make this year my best year, I decided to start the year with a new shirt. 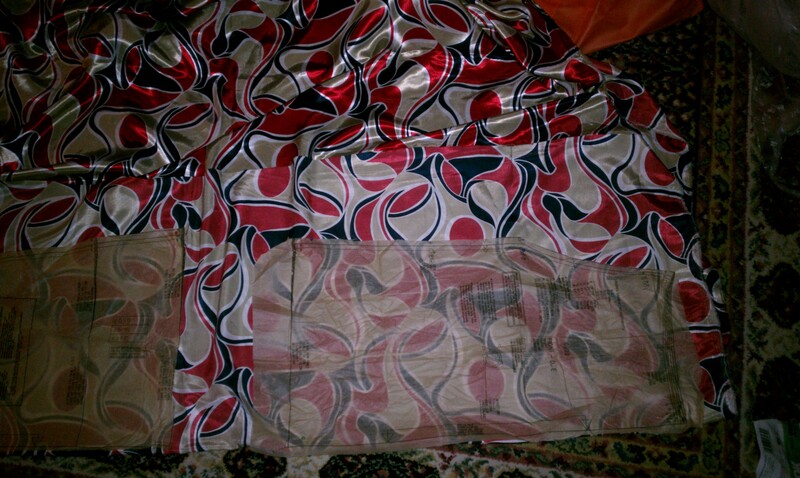 I pulled out the two yards of fabric I had purchased last fall, sewing machine and sewing bag. My personal challenge was to see how fast I could put together a simple shirt and perhaps inspire others to sew. 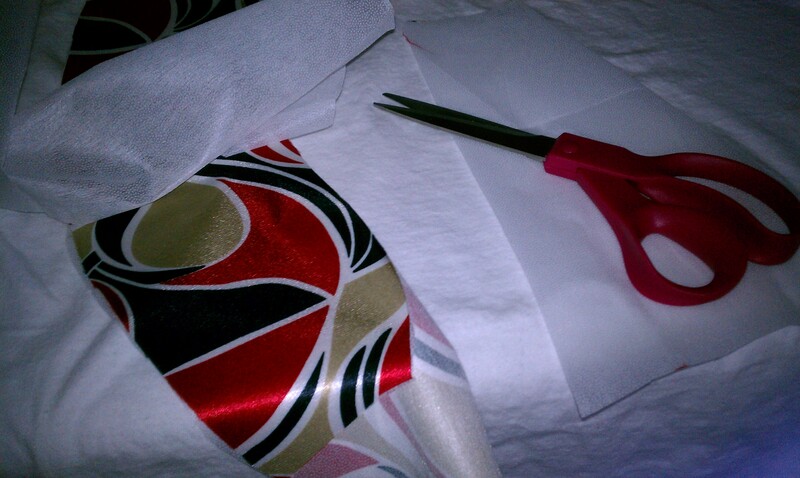 I started by laying out my pre-cut pattern and pinning it to my fabric. Cut the fabric around the pattern. Iron bonding to the inside of the fabric the two front collars of the blouse. Cut off the excess of bonding around the collar. 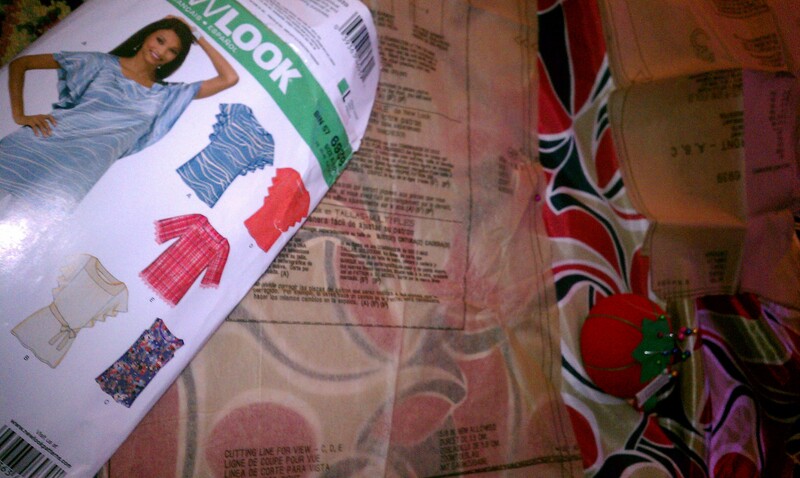 Next, sew the front of the blouse to the bonded side of the fabric. I decided to not use pins for this step; instead, I used fabric glue. 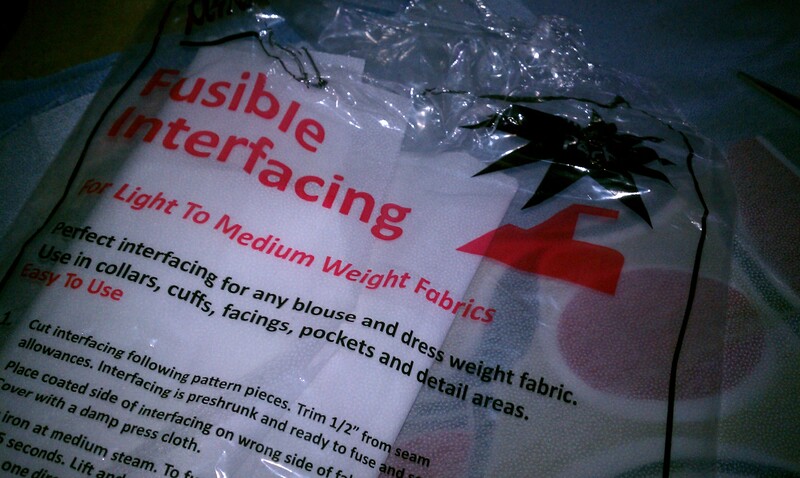 When sewing with polyester, silk or sheer fabrics I find that the fabric does not stay in place with pins. 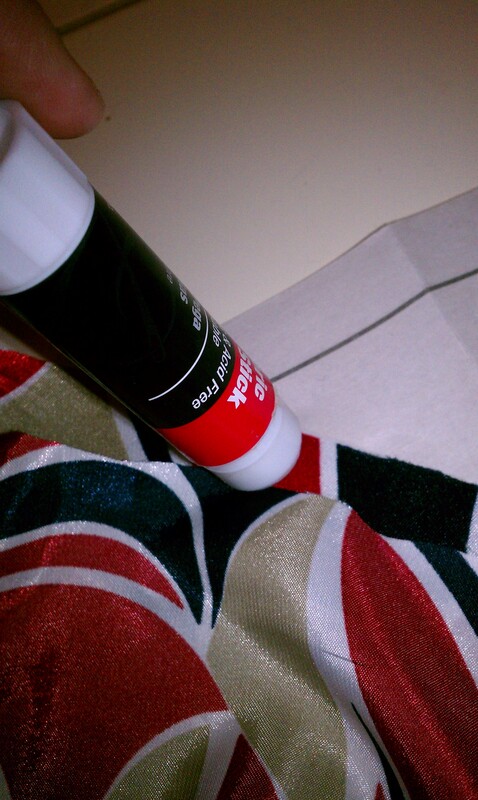 Fabric glue used in small amounts can hold the fabric just long enough for you to put stitches in it. After you complete sewing the front of the blouse to the collar, you need to stitch the other collar to it with ragged edges together. Then you fold back the top collar. Iron it down the top collar before sewing it completely around the neckline. Ironing prevents folding of the fabric. Once you complete the front of the blouse, it is time to sew the back of the shirt to the front at the shoulder seams. Then sew the back neckline. 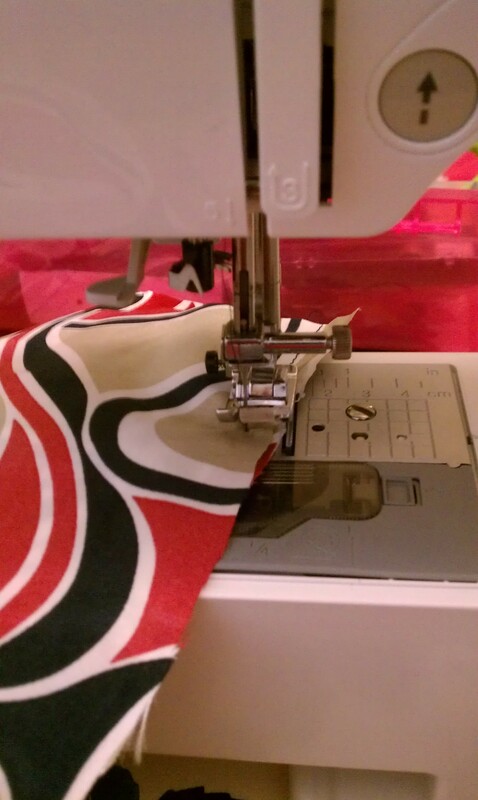 It is easiest to do a simple French seam by folding over the fabric twice this will prevent fabric from fraying. 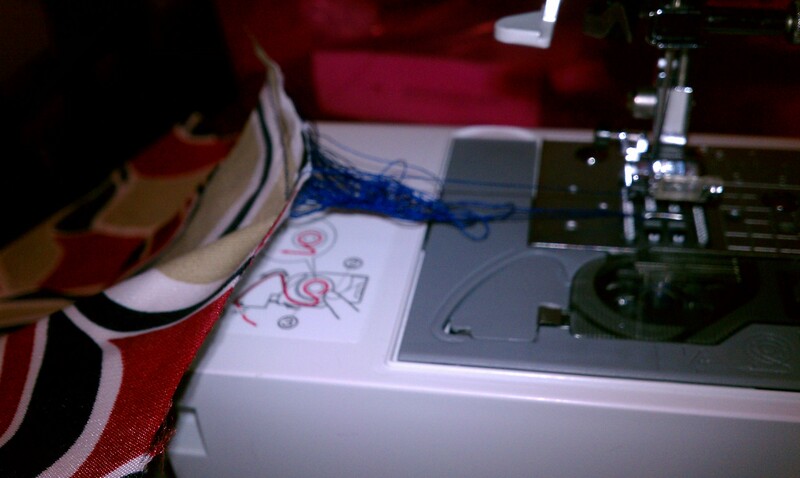 Sometimes while you are sewing your bobbin will mess up and cause the threads to jam up. This is actually an easy fix. Just cut off the threads. Then you will need to redo your bobbin. If it happens again then you need to start with a new bobbin. Your old one could have been cracked. Now, you have a front and back, it is time to start making the sleeves. Do a French seam on the cuff of the two sleeves. Afterwards, measure the middle of each sleeve and mark it. Pin the center of sleeves to shoulders at the front and back seam. Then start sewing from that seam around to sides of the blouse that is hanging. When both sleeves are attached at the shoulder, try on the blouse. Pin the sides to how you want the shirt to fit. You need to sew the sides of the blouse from the bottom up to where the sleeve fabric starts. 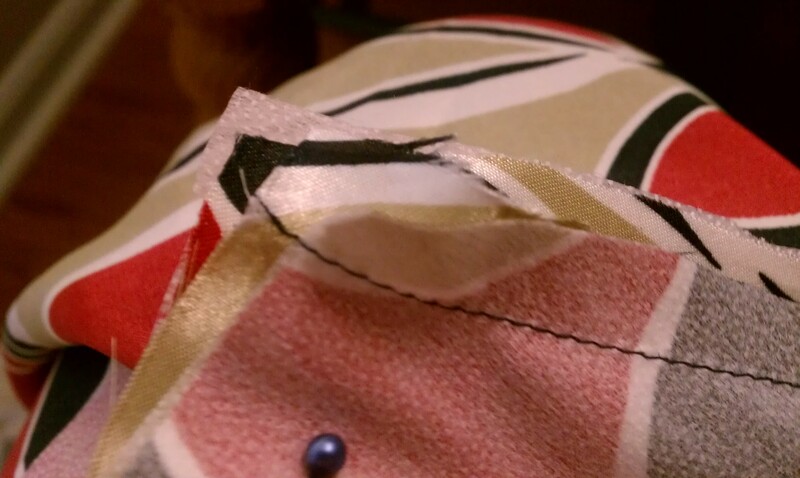 Gather the sleeve hem and stitch into the side of your blouse. It will make a V at the seam of where you begin to sew the sleeve into the side of the blouse. 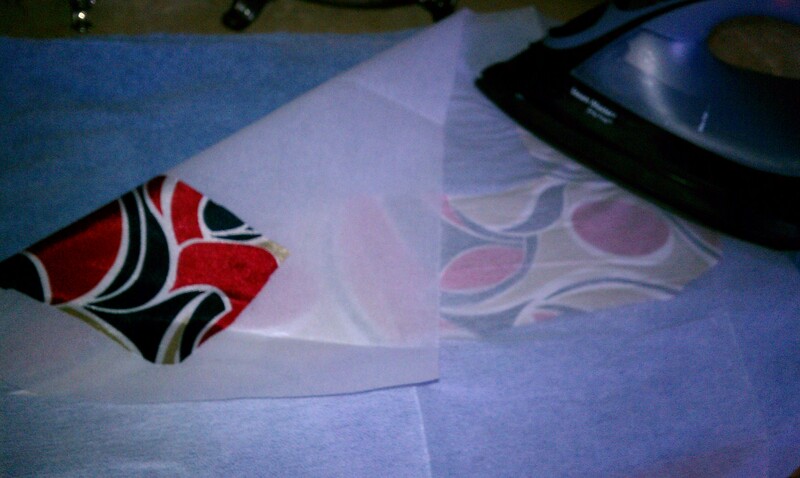 Next, continue to stitch around the sleeve all the way up to the shoulder and back around. When you finish the sleeves will be center and reinforced with double stitches. At last stitch the bottom of the shirt with another French seam. 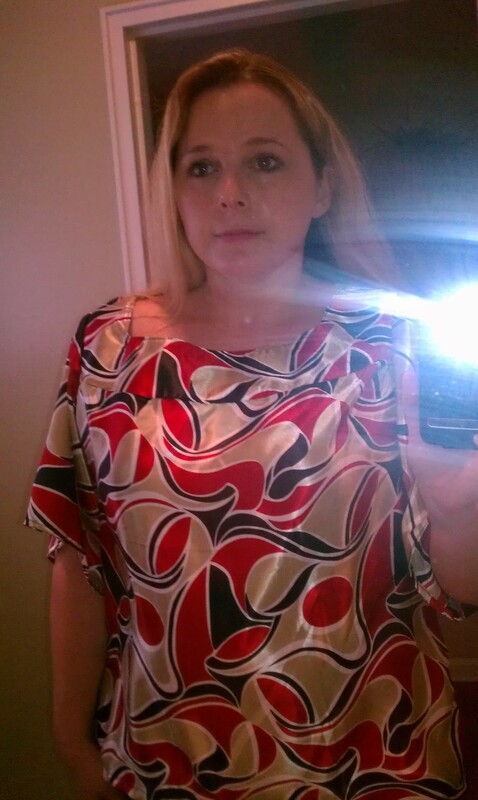 This blouse cost me less than $10 and took me only three hours. Previous Welcome 2012! Goodbye 2011! Don’t you love making your own stuff? I’m not good at clothing (unless it’s for Halloween) but I sew things all the time. I find it relieves stress. Are you trying to publish articles like this one? I do Miranda, unless I really mess it up. Lol Sewing sleeves can be a nightmare, but this pattern is pretty easy. I did sew it to stop the confusion in my head. I really don’t know where to take my writing. I had written a coming of age novel and romance, but I hired a coach to evaluate my works. She says my talent is humor. At this point in my life, I would write just about anything to get published. While it takes quite a bit of effort on your part, I would suggest to you to get a current editon of The Best of the Magazine Market for Writers. You may be able to break into magazines first and then on to novels. Also, try submitting to contests. They count as “clips”–published works–if you place. It helps when hunting down an agent………Just a thought. I myself am beginning this journey to get published (not really beginning, I just now got the courage to put myself out there, I’ve been preparing and researching for years now). You’ll do it. Keep telling yourself that. Re your comment to Miranda. Irrespective of what any coach tells you, I think you ought to write what you feel like writing. I’ve given up efforts to be published for the meantime, and just blog and write diary, and do the best I can, but just to please myself. Are you a member of a writing group? I set one up here and it ran for some years, and was very encouraging and interesting. DO NOT GIVE UP. Something will always turn up, just wait and see. Scriptor Obscura, your comment made me cry. 😦 Everything you say is so true. My heart says the same things you write. Listening to my heart needs to be my new goal for 2012. I found that when I am under pressure to write, I can’t. I am more of a free spirit. My feelings flow like a river and my words follow. I admire your story Imprisonment. That story is so powerful, sad and beautifully written. I want to be able to express the way you did. Amazing job! Thanks for the motivation. I am so lucky to have a writing friend like you! Adhocannie thanks for the comment. I am not part of a writing group. I should be. I just felt overwhelmed with life and desires. I have been writing since college. I even met with Janella Taylor, New York Times bestseller. After that experience, I just quit writing. Then when my mother died, the only thing I wanted to do was to write. I wrote a novel that make tears flow. I really thought this was the novel to be published, yet it has not been accepted. Every time I submit to a new agent, my fears paralyze me in to not wanting to write. Blogging has been the BEST thing I have ever done for my craft. This quote really resonated with me, so I just thought that I would share it…I often feel this way myself many times. Thank you so much, JCV, I am really glad to have met you here on WordPress! Reblogged this on JCV Creates.